What was Sherlock Holmes’ favourite tea? Many say Lapsang Souchong, that smoky tea reminiscent of camp fires … and briar pipes. 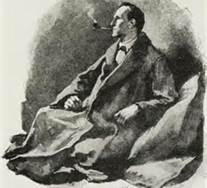 Although tea is mentioned in a number of the stories, nowhere does Conan Doyle name a specific variety that Holmes preferred. 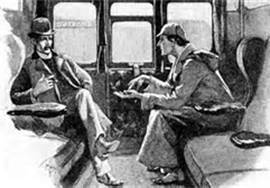 I happen to know this because some years ago I compiled all the tea references in the canon (the complete collection of Holmes stories). 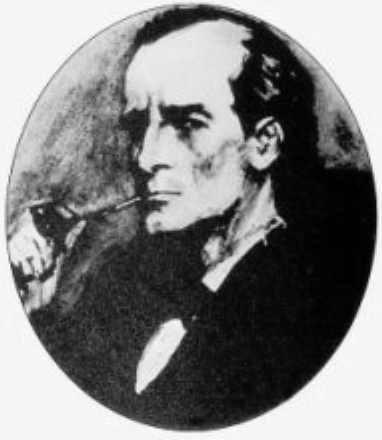 The quotations are taken from The Complete Sherlock Holmes by Sir Arthur Conan Doyle with a preface by Christopher Morley; published by Doubleday & Company, Inc. They may vary somewhat in other versions. Illustrations are the original Sidney Paget drawings, now in the public domain. ” ‘It was the year ’55, when the Crimean War was at its height, and the old convict ships had been largely used as transports in the Black Sea. The government was compelled, therefore, to use smaller and less suitable vessels for sending out their prisoners. The Gloria Scott had been in the Chinese tea-trade, but she was an old-fashioned, heavy-bowed, broad-beamed craft, and the new clippers had cut her out. She was a five-hundred-ton boat; and besides her thirty-eight jail-birds, she carried twenty-six of a crew, eighteen soldiers, a captain, three mates, a doctor, a chaplain, and four warders. Nearly a hundred souls were in her, all told, when we set sail from Falmouth. “To-day, about three o’clock, the proofs of this paper arrived from the printers. The exercise consists of half a chapter of Thucydides. I had to read it over carefully, as the text must be absolutely correct. At four-thirty my task was not yet completed. I had, however, promised to take tea in a friend’s rooms, so I left the proof upon my desk. I was absent rather more than an hour. “You are aware, Mr. Holmes, that our college doors are double — a green baize one within and a heavy oak one without. As I approached my outer door, I was amazed to see a key in it. For an instant I imagined that I had left my own there, but on feeling in my pocket I found that it was all right. The only duplicate which existed, so far as I knew, was that which belonged to my servant, Bannister — a man who has looked after my room for ten years, and whose honesty is absolutely above suspicion. 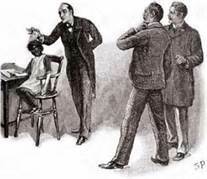 I found that the key was indeed his, that he had entered my room to know if I wanted tea, and that he had very carelessly left the key in the door when he came out. His visit to my room must have been within a very few minutes of my leaving it. His forgetfulness about the key would have mattered little upon any other occasion, but on this one day it has produced the most deplorable consequences. ” ‘Well, I don’t know now whether it was pure devilry on the part of this woman, or whether she thought that she could turn me against my wife by encouraging her to misbehave. Anyway, she took a house just two streets off and let lodgings to sailors. Fairbairn used to stay there, and Mary would go round to have tea with her sister and him. How often she went I don’t know, but I followed her one day, and as I broke in at the door Fairbairn got away over the back garden wall, like the cowardly skunk that he was. I swore to my wife that I would kill her if I found her in his company again, and I led her back with me, sobbing and trembling, and as white as a piece of paper. There was no trace of love between us any longer. I could see that she hated me and feared me, and when the thought of it drove me to drink, then she despised me as well. But that work met with an annoying interruption. 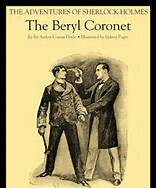 I had hardly swallowed my early cup of tea and was starting for the each when I had a call from Inspector Bardle of the Sussex Constabulary — a steady, solid, bovine man with thoughtful eyes, which looked at me now with a very troubled expression. 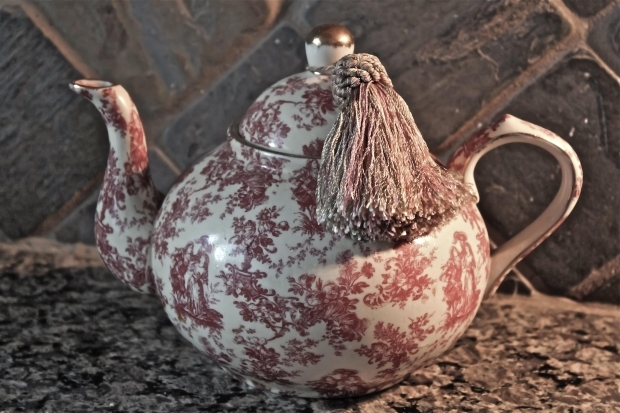 Contact us about reviewing your tea or tea-related product, or to be interviewed.